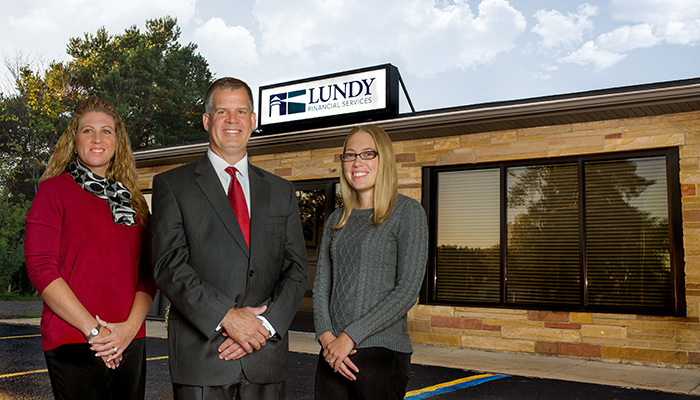 Erik Lundy has been a practicing financial advisor since 1997 and the owner/president of Lundy Financial services (Erik is registered with the states of California, Michigan, Arizona, Colorado, Florida, Maryland, Montana, Nevada, New York, North Carolina, Wisconsin, Tennessee, Ohio and Texas) since 2010. Erik is a Financial Advisor of Summit Financial Group. Erik maintains and exceeds the minimum continuing education standards required to maintain his certifications; he currently holds a series 7 and 66 as well as Life and Variable Annuity licenses. His financial planning practice emphasizes a conservative investment management approach utilizing various forms of securities and insurance products to help meet his client’s financial goals. Erik holds a Bachelors of Science from Michigan State University. He resides in Bad Axe and enjoys many outside activities and spending time with family and friends. Sara Currently resides in Bad Axe with her husband Mike and son Blake. Sara holds a Bachelors of Science in Elementary Education with a Major in Math and a Minor in Language Arts. Sara has been working with Erik since he joined Summit Brokerage Services. Bridget Currently resides in the Pigeon area with her husband Ryan son Wyatt, amazing cat Gil and ever challenging dog Jack. Bridget holds an Associate’s Degree in Business Administration and a Bachelors of Science in Business Management. She joins our team with several years of banking compliance experience and back room processing.